Bono has been talking with the LA Times about the Oscar-nominated 'Ordinary Love', which the band will perform at Sunday's Academy Awards ceremony. Early drafts of 'Ordinary Love', explained Bono, were 'more literal in referencing Mandela's freedom from prison'. Ultimately he wanted the lyric to be more emotional and universal, which he decided after reading the love letters traded in prison between Mandela and his wife Winnie. 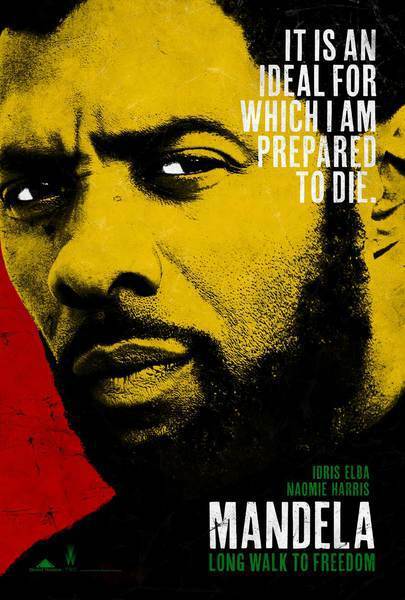 Idris Elba, who plays Nelson Mandela in the movie, has also been talking about the song - and about the letters. I watch the Oscars gala and I must say that U2 should have won!!! Love you boys i love ord love and so will the academy!!!! "'Ordinary Love' is no ordinary song..."
"as President Mandela was no ordinary man..." Enough said. Cheers!